Do you use a mouthwash regularly? Ask us to recommend a brand fit for your needs at your next visit. You wash your hair. You wash your hands. Should you wash your mouth too? Like most things, using mouthwash can have pros and cons. And with so many different rinses available, which one is right for you? Freshen your breath – It’s the most obvious benefit. Who doesn’t like minty fresh breath? Reduce tooth decay – Some mouthwashes contain sodium fluoride. It helps reduce the cavitation and demineralization of your teeth. Lessen gum inflammation – Some ingredients kill bacteria. This can help reduce inflammation. Mouthwashes containing chlorhexidine help reduce periodontitis. Whiten teeth – Certain mouth rinses promise to give you a brighter and whiter smile. These rinses contain a bleaching agent. Hydrogen peroxide is a popular one. It helps remove stains and whiten teeth with repeated use. 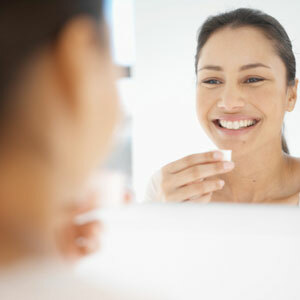 Help prevent gum disease – An antiseptic or anti-plaque mouthwash can help inhibit the growth of bacteria. This can help curb periodontal diseases such as gingivitis. The active ingredients in these mouth rinses may include triclosan and thymol. Link to oral cancer – There’s a debate over rinses that contain alcohol. Alcohol seems to negatively affect the tissues in the mouth. (Be sure to ask us about using oral rinses that contain alcohol. Mouth irritant – Mouth rinses that contain alcohol often produce a burning effect. The antiseptic properties can be helpful, but can irritate ulcers and canker sores. Which can slow their healing. Masks bad breath – The “minty fresh breath” is temporary. Mouthwash gives your breath a momentary makeover. Relying on a mouth rinse is like using cologne instead of regular bathing. Still not sure? 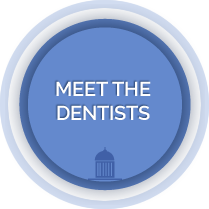 Like anything dealing with oral health, we love fielding questions. Especially from interested patients. Ask about our take on mouthwashes by scheduling a checkup today.